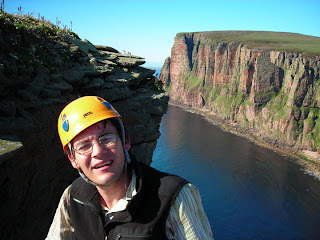 A couple of years ago I was lucky enough to climb the Old Man of Hoy, via the classic route. I wrote an article that was butchered in Gravity magazine as well as made a short video. If any of you read the gravity article you might not have realised they inadvertently cut out half the text from the middle, I also have a topo, video and pictures. By two thirty I was bored of waiting for tomorrow, to climb the Old Man, the skies had cleared and the crystal blue sea was merging with the sky. I simply had to go, and Sam once the idea was implanted suitably subtly was keen, so we set off. 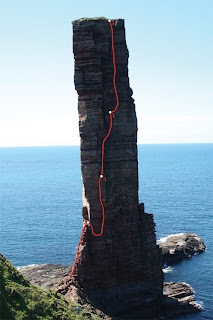 We were at the base of the stack by 3.30, looking up at one of the most intimidating climbs I have ever looked at. 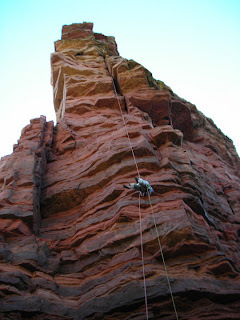 5 long pitches as well as a complex abseil descent meant that the clock was going to be ticking, so there was no time for nerves. 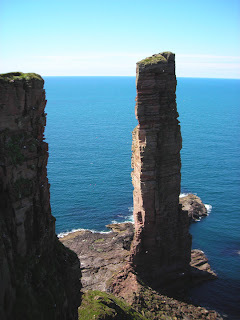 After Hoy we left for the scottish mainland and made the 5 hour drive to the Old man of Stoer the following day, climbing that stack that evening. Meaning that in a very busy 48 hour period we had climb two classic Scottish Sea Stacks. The author is a highly experience Mountaineering instructor and climbing coach. 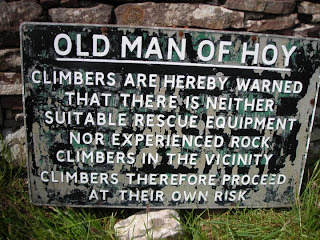 He offers guided trips to the Old Man of Hoy. The ratio he works on is a Maximum of 1 to 2. His rate is £200 a day however in the case of this trip there will be some shared expenses. However Snowdonia Mountain Guides has a camper van and we can meet you anywhere north of Manchester on the M6 and share a lift up and split the fuel. We will also charge the ferry fees and whilst you can stay in a hostel at rackwick bay there is also a great bothy. We will share catering cost, as mark is not only a great climber but quite a reasonable chef as well. 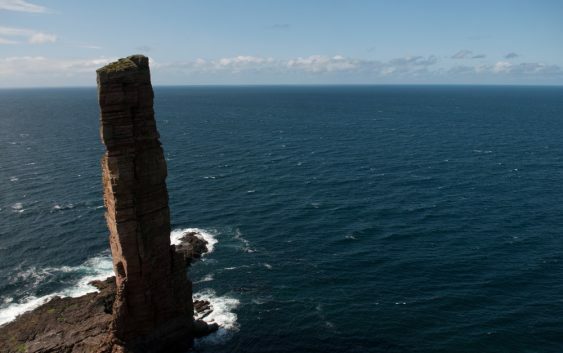 So the plan would be to drive up and climb the Old Man of Hoy over 5 days and try and get ascents of Yeansby Castle on Orkney Main and The Old Man of Stoer over those days. For two people this would be around £750 each. To find out more eMail us here.